Release the Purple Alien on DVD! Do you remember this show where there’s a purple alien that travels in its small spaceship and it has a floating brain to help him? He fights bad guys and stuff? Have you ever asked about this and they thought you were making it up? I did! This TV show is called Widget the World Watcher. It is so good. 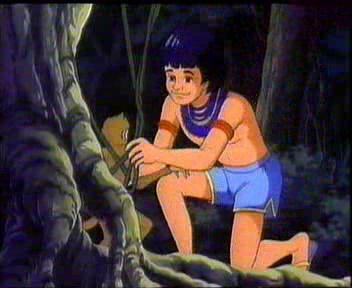 I loved watching it so much when I was young. Especially when he transformed. They didn’t play as much reruns as Captain Planet which is why I remember Captain Planet better. How can I remember the name Widget the World Watcher anyway? It’s such a long name. 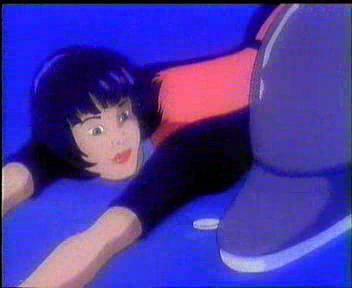 I only found out the name when my former English teacher asked us if we remembered a show called Widget the World Watcher. There isn’t much I can talk about because I don’t remember any clear episodes. I want to watch this again so can it please me released on DVD? Please? Maybe someone should start a petition? Widget is so cute. This show rocked. Even if people posted this on youtube, it’s not the same as watching it on television. It deserves to come out on DVD. Who’s with me? 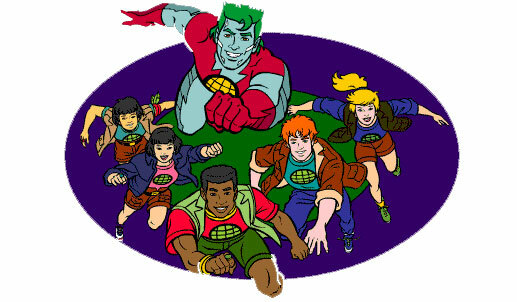 Captain Planet and the Planeteers. 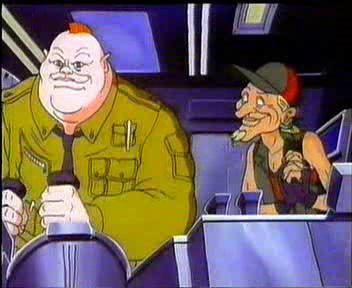 Ah, this show has got to be one of the greatest children’s animations of the 90s if not the greatest. I don’t know what other show made me so obsessed. I wanted to be one of these Planeteers! The first episode is the most important of all. The others can be watched in any order. 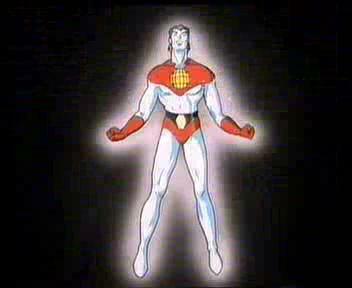 Captain Planet was a show about saving our environment. Fat-tumbling-moron and his psychic chicken-legs are destroying the environment with their toxic waste, as usual. Gaia must find young people to stop these awful people. It is time for the rings! 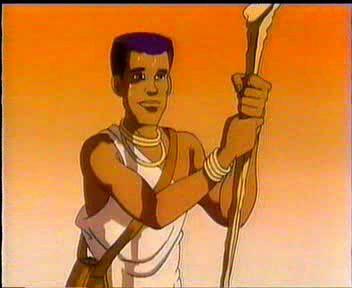 Kwame from Africa, with the power of EARTH! Gi, from Asia, with the power of WATER! 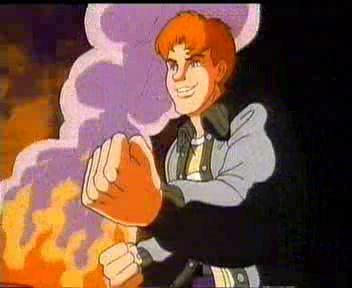 Wheeler, from North America, with the power of FIRE! Linka, from the Soviet Union, with the power of WIND! And last but not least (however forgettable), Mati from South America, with the power of HEART! With their powers combined, they create CAPTAIN PLANET! That is always very exciting! Linka isnt sketching in that screen cap, she’s playing a keyboard. Isn’t that weird? I want one. I honestly don’t remember a guy named Ma-Ti. Before watching this again, I went on their official website and found out there was a power called HEART. “What the hell is HEART?” I thought. I’ve had the theme song playing for a while and you don’t really hear him say HEART unless you already know the power of HEART actually exist. In the first episode, everybody’s accent is very thick. After two episodes or so, their accents slowly fade away and you can sooo tell they sound American. Listen to Linka talk in the pilot and you know what I’m talking about. 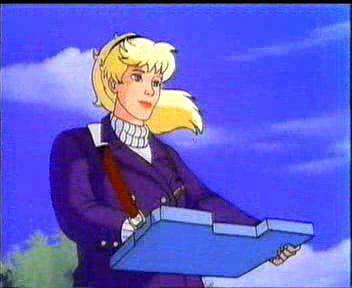 I always wanted to be Linka. We use to have the ring WATER but I don’t remember where we got it from because I was too young. I wish we had all the rings. You can’t really do much with just WATER. Did you have any Planeteer rings? Where did you get them from? I also really want to watch ‘Whidget the World Watcher’. 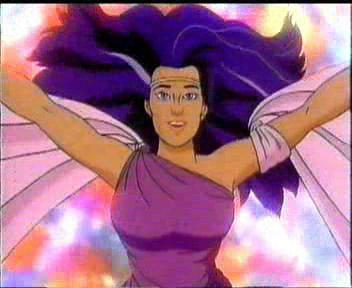 That show was hilarious and it’s simular to Captain Planet. Where can I watch it? Please cast your vote in this poll!